While Odd is trying to form a new band, the X.A.N.A takes control of the school’s electricity supply. Leading the investigation, our heroes understand that the fiendish X.A.N.A computer is also planning on blowing up a nuclear power-plant. A little concentration during gym class will help them make the right decision ! In fact, the danger is so great that they decide to reveal the existence of Lyokô, the virtual world that only they know about, to the authorities. But it all seems so far-fetched that in the end, no-one believes them. 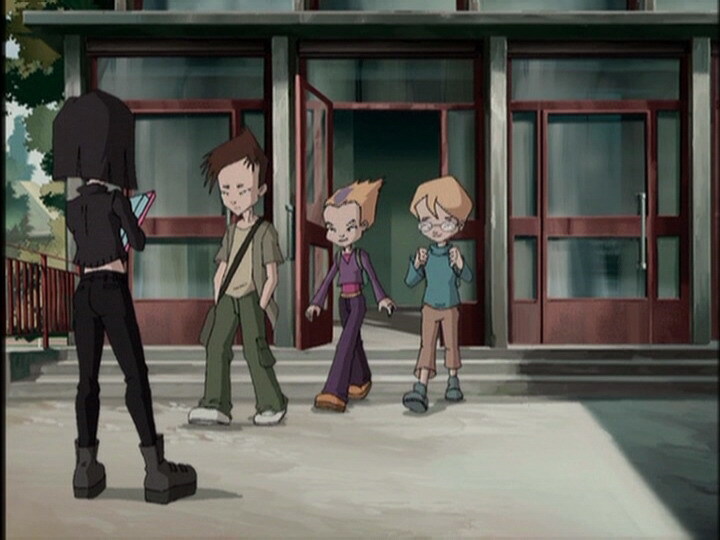 Yumi, Aelita, Jeremy, Odd and Ulrich have only themselves to turn to stop a nuclear explosion from destroying the city. Coincidentally, the students have a science class on the plant with a scientist who works there. Only Jeremy is paying attention, and asks the scientist if it’s possible to materialise particles (in the context of materialisation). The scientist says that the idea is merely science fiction…but during the same class, the appliances begin to short circuit! Jeremy is worried about the short circuit, but his reasoning is interrupted by the principal who informs Odd that he’s given him permission to start his band on the condition that it’s open to everyone. Odd thus distributes flyers to recruit musicians for an audition. 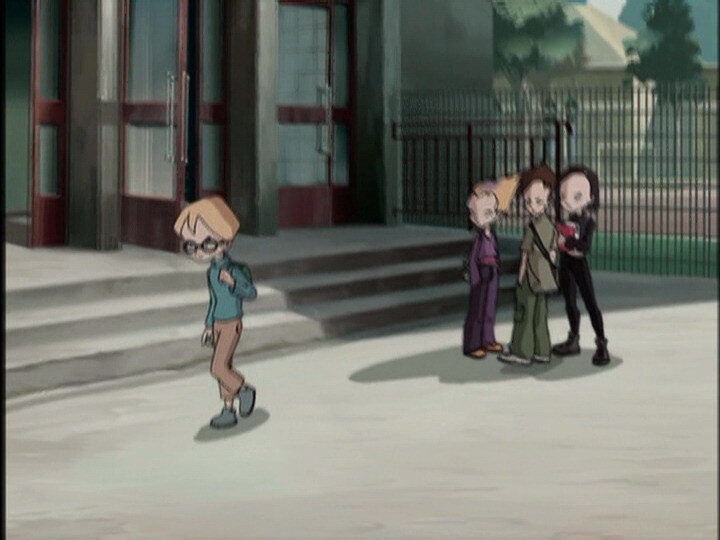 Jeremy contacts Aelita and verifies that the school’s electricity network was experiencing numerous failures…he launches a scan and heads for the cafeteria. The group starts the afternoon auditions, while Jeremy leaves to confirm his suspicions, not failing to notice that more and more things are beginning to stop working! On top of that a pylon supporting electricity cables is sizzling in an abnormal way, emitting sparks. The audition to find a drummer turns sour when Odd insists they take on a pretty girl he has a crush on instead of Nicolas who plays like a master, far more superior to his feminine rival…in the midst of the quarrel Jim arrives and plays his slide trombone, a large smile on his lips. The group arrives at the factory and Jeremy explains XANA’s intentions; it aims to accumulate voltage in the pylon and explode the nuclear power plant by releasing all the built-up energy in one go, which would create a short circuit at the complex. Odd and Ulrich go to the Desert Sector, the tower is situated near an oasis. 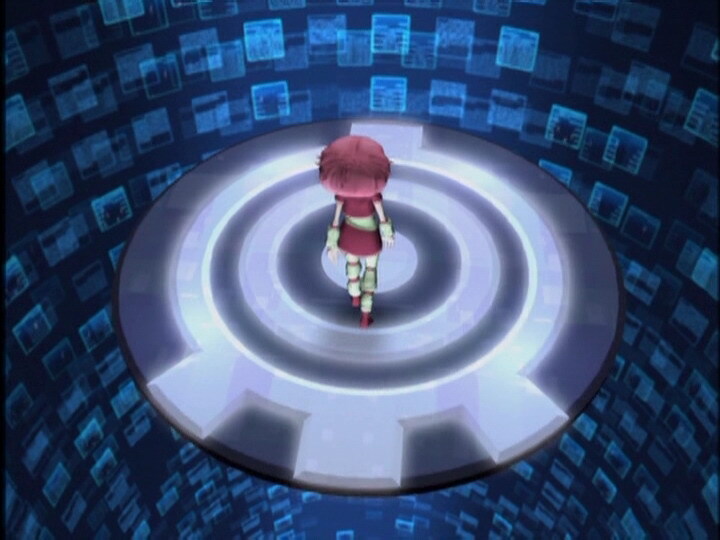 Jumping through the false surface later, the Lyoko Warriors find the activated tower, defended by Krabes. Odd sacrifices himself, saving Aelita, and Ulrich uses Triplicate to get rid of the three monsters. The city is in total darkness and the pylon reaches its limit of 1 000 000 volts, which races towards the plant via the power lines. 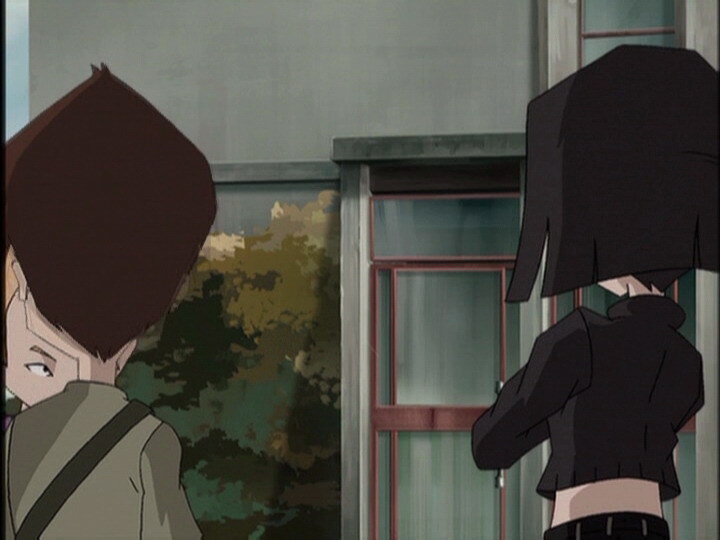 Aelita enters the Code Lyoko, and Jeremy launches the Return to the Past. The white light engulfs a satisfied-looking Yumi and doesn’t give the plant time to explode. The final scene shows the new band rehearsing, with Yumi singing, Odd on guitar, Nicolas on drums…and Jim on trombone! - Attack: To store electrical energy in a pylon and release it on the nuclear plant and blow it up with the resulting short circuit. 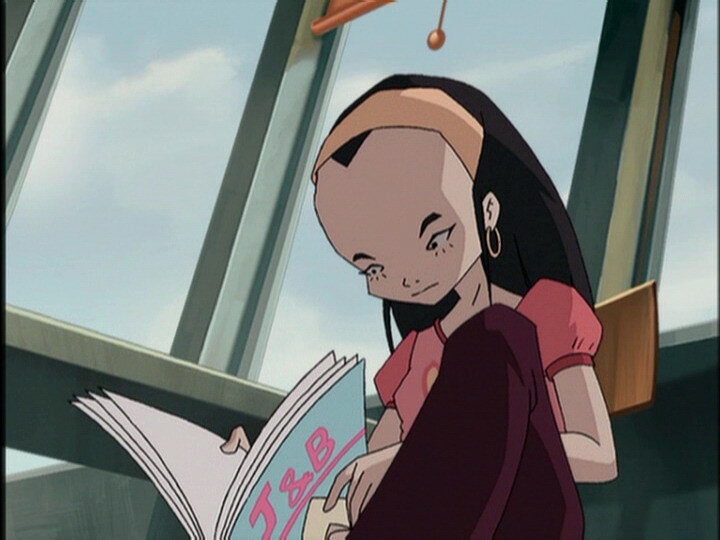 - Discovery of Ulrich’s Lyoko form and his Triplicate power. 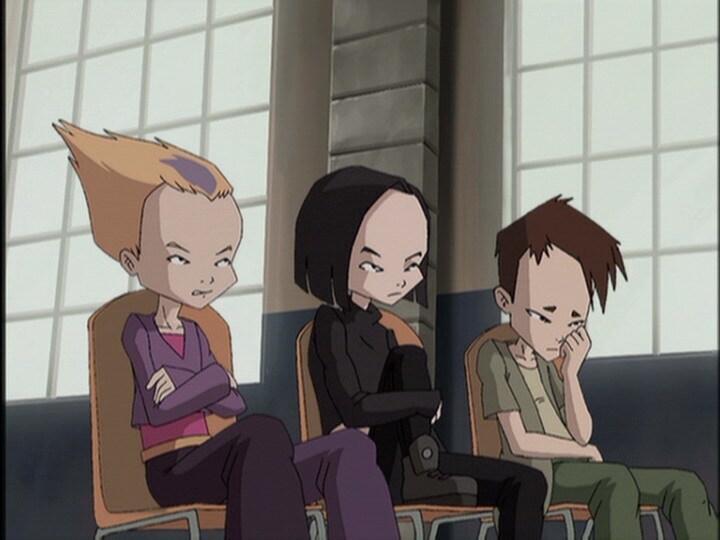 - Only episode in the series in which they decide to reveal Lyoko’s existence to the authorities. - First we see of Kiwi when Odd doodles him on a piece of paper. - Ulrich hates Brussels sprouts. - Aelita is ready to sacrifice herself nobly if it means saving others. 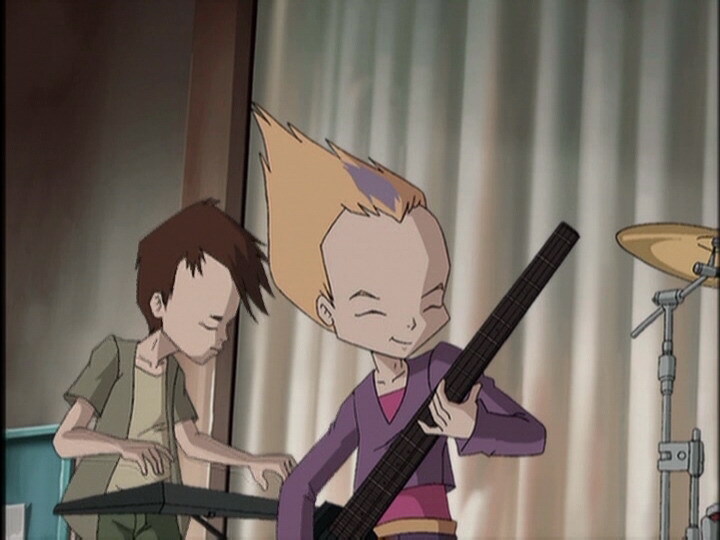 - The song at the end is dedicated to Aelita; “Mystery girl from another world”! - Jeremie doesn’t really like music such as pop and rock. - Odd has a thing for Naomi and hates fighting Krabes. - Ms Hertz finds that Jeremie is one of the best students at Kadic. - Nicolas plays the drums remarkably well and Jim the slide trombone. Odd practises guitar, Ulrich keyboard and Yumi sings. - Herb’s collar is sometimes green instead of white! - The cord of Jeremie’s microphone disappears just after it was seen. - The students in Ms Hertz’ class change places in certain shots. - Jeremie’s mouse disappears when his computer shuts down during the blackout. - When Jeremie enters the lab at the factory, the buttons on the lift disappear. - Emmanuel Maillard is meant to be in year 9, so he shouldn’t have been in Ms Hertz’ class. - At the moment when Jeremie climbs the ladder at the factory bridge, it’s shown as night time although it’s during the day. - Just at the moment when Ulrich and Yumi applaud Nicolas, the door to the hall no longer has windows. 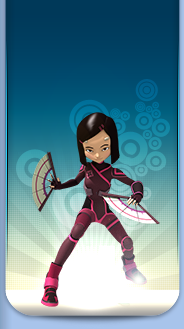 - When Jeremie makes the selection for the virtualisation, all the cards show Odd’s virtual avatar. - The factory computer microphone changes often (wired or wireless) and disappears during Ulrich’s transfer. - When Ulrich takes on the last of the three Krabes, we see on Jeremie’s screen that there are still three red dots as well as Odd’s green one although he had already been devirtualised. 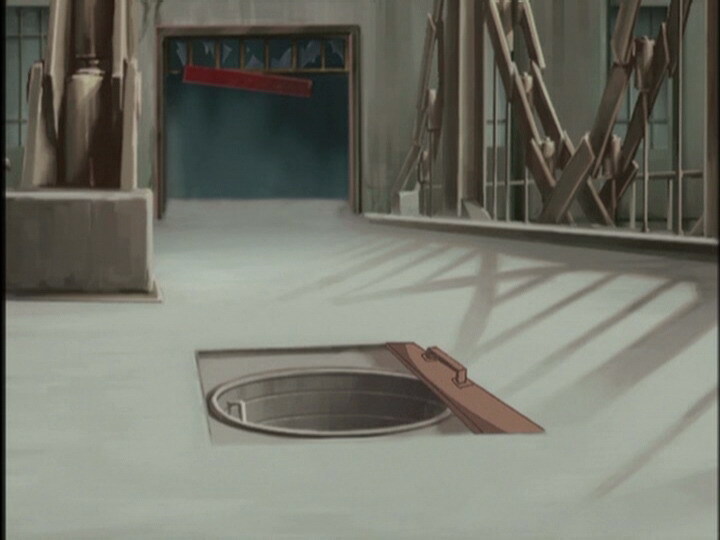 - Odd’s pants are the same shade of purple when Emmanuel says he loves heavy metal, during a shot in the sewers, while looking at the screen in the factory, and at the very end; the colours of his pants are reversed when he enters the scanner, and they are entirely dark purple when Jeremie asks if he’s ready to go back in time. - First sighting of Ulrich and Krabes in the Desert. - First mention of Krabes. - First mention of XANA’s pulsations. - First episode in which Jeremie goes to the factory alone. - Only episode where Ulrich doesn’t say “Triplicate” to activate it. - XANA tries to explode the nuclear plant, which would spread radiation all over the region, sparing itself in the default attack strategy. - First episode in which Matthew Géczy voices Odd. - First episode in which Jodi Forrest voices Sissi. - Emmanuel’s name is changed to Mike. - Noémie’s name is changed to Naomi, as it remains throughout the series. Rock (also called rock ‘n’ roll) is a genre of music which mixes black blues with rhythm and blues for the first time, with a white culture branded by country music in particular. Rock eventually became a philosophy with its cultural cohort, films and comics featuring the typical fashion. - The fire truck is a Renault B70. An oasis is a vegetation zone isolated in a mostly sterile desert. Jeremy: I’d like to know if an atomic process exists for fusing virtual particles and materialising them in the real world. Dr Delacre (scientist): Son, that is in the realm of science fiction, sorry. Ms Hertz: Jeremy is an excellent student, but he’s a bit of a dreamer. Mr Delmas: Odd? I’ve thought it over, you can form your group, the…um…Foxtrot Fanatics? Yumi: It’s the Pop Rock Progressives, sir. Odd: Yeah! Let’s hear it for the God of Rock and Roll! 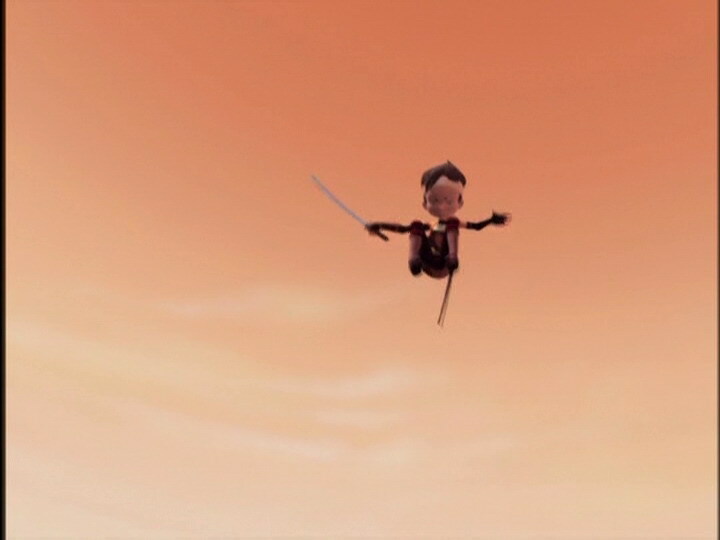 Aelita: Where are you going? Jeremy: To the cafeteria. They’ve got Brussels sprouts today! Do you know what they are? Aelita: Yes, but I don’t know what they taste like. Are they good? Odd: Hey! You pressed soup! Ulrich: Come on, it’s not that awful! Odd: Well yeah, you’ve got a lot of style, that’s heavy metal, right? Emmanuel: Oh yeah, for sure, I love it! Yumi: We’re really sorry Mike but we’re looking for something more…traditional, you know? Odd: Hey! How are you, Naomi? I didn’t know you played the drums! Ulrich: Ok then, go on. Odd: Great, Naomi! That was fantastic! Well I mean come on, we aren’t going to find anyone better, right? Sissi: Surprise! It’s obvious my friends and I aren’t very welcome, but my father did say that the band was open to everybody, right? Oh but don’t worry, I don’t want to be in a group of deadbeat weirdos! But Nicolas just loves the drums. Odd: A drummer, huh? And what does he play, his mum’s pots and pans? Odd: Nicolas? The drummer in our band? I don’t care how good he is, the answer is no. Besides, Sissi set this up just to give us a hard time. Yumi: Maybe this time she was trying to help. And you’ve got to admit that Nicolas can really play the drums! Ulrich: Better than Naomi, that’s for sure! Odd: She’s only a beginner! She needs a little more time! Ulrich: Uh-huh! A couple of years should do it! Ulrich: If Sissi’s idea was to cause trouble, she’s done a great job! Jim: Uh, would you guys need a slide trombone by any chance? Yumi, Ulrich and Odd: Huh? Jim: Well, what do you say? Odd: Uh, Jim, the fact is…uh, well you see, we’re a rock band, not a military brass band. Yumi: We’re going to have to audition you another time. Jim: Oh no you don’t. You’re not going anywhere unless you agree to take me as part of your group! Gah! Yumi: Nuclear sabotage…that’s a little over our heads, wouldn’t you say? Ulrich: Yeah, what do you mean? Yumi: Think about it! 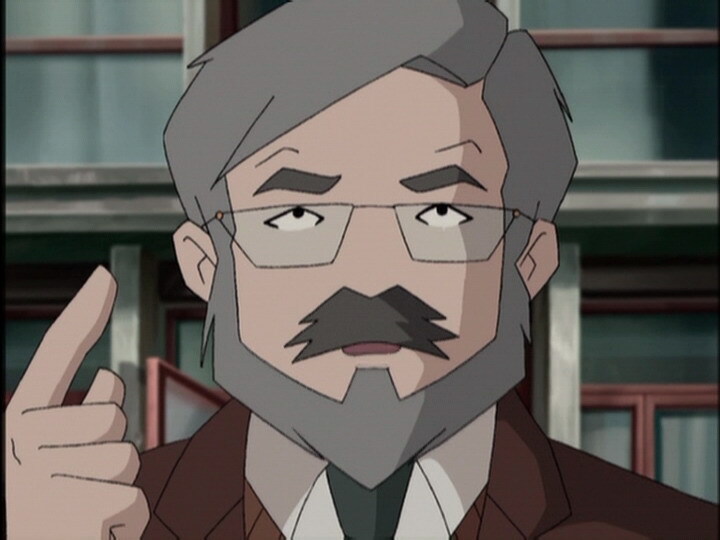 If we fail in Lyoko the whole region’ll be wiped out! We’ve got to warn the authorities! Jeremy: Are you crazy? There’d be an inquiry, and we’d be questioned. We’ll have to tell them everything! And if they discover XANA, they’ll pull all the plugs out. 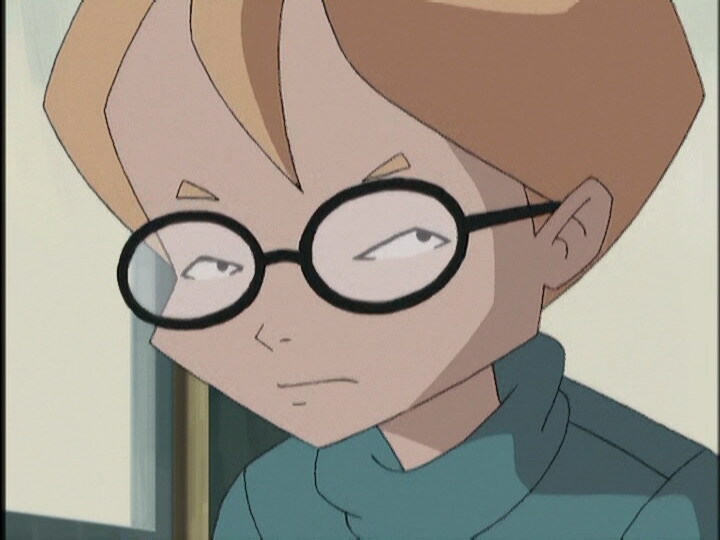 Yumi: And we’ll lose Aelita…I know that…but we’re talking about a nuclear disaster! Jeremy: Ok…let’s take a vote. Who’s for raising the alarm? Ulrich: Sorry, Aelita…but I also think we can’t take that big a risk. I vote for…let’s report it. Jeremy: Well then, two votes for and two votes against, it’s a tie. We don’t tell anybody. Yumi: I think it means that we should tell everybody! Aelita: Don’t I have the right to vote? Jeremy: Why sure you do, that way there won’t be a tie. Aelita: In that case, I vote for. Aelita: I don’t want thousands of people to die just to save me. Odd: We’re going to make it, huh Ulrich? Ulrich: I sure hope so, Odd. Yumi: I’m sorry to disturb you Sir, but it’s really important! You’ve got to trust me! I know it’s going to sound crazy Sir, but please, hear me out! The nuclear plant is in danger of blowing up! Jeremy: Come on, you can do it! You can’t be too far away! You’ve got to find it fast, the pylon is going to be overloaded soon! Odd: I found it! We’ve been tricked! There’s no water down there, just a surface layer! Odd: I hate those horrible Krabes! Fire fighter: Can you repeat that? 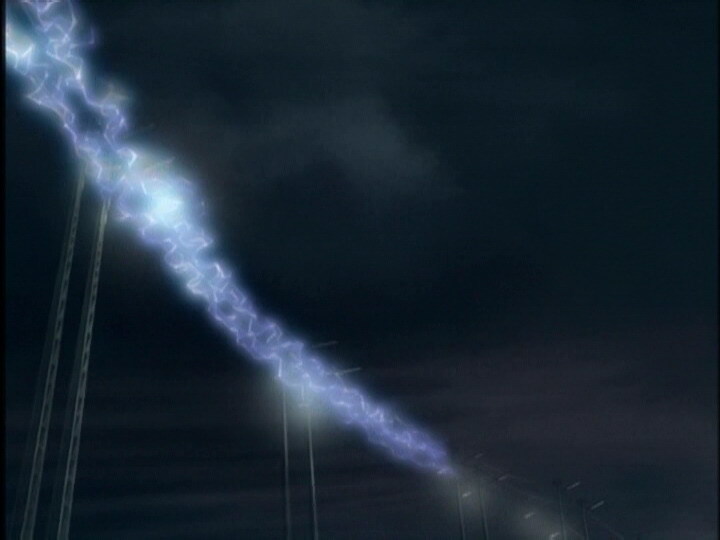 Yumi: The voltage that built up in this pylon is going to be used to blow up the nuclear power plant, Sir! How can you just stand there?! Do something! Before it’s too late, huh?! Fire fighter: How do you know all that? Ulrich: Come on, you only get one shot! Odd: Ulrich, are you out of your mind?! Fire fighter: A supercomputer in a factory? A virtual world? Yumi: I swear, you have to believe me! Jeremy: Ready for a return trip to the past, Odd? Odd: Ok, hit it! Three, four! Odd: You were right, he’s doing great! Yumi: Who are you talking about? Jim? Jeremy: Great, you guys! Your energy is super nuclear! You’re gonna make this town explode!